Hi, sorry if I am late. I've checked for your address. 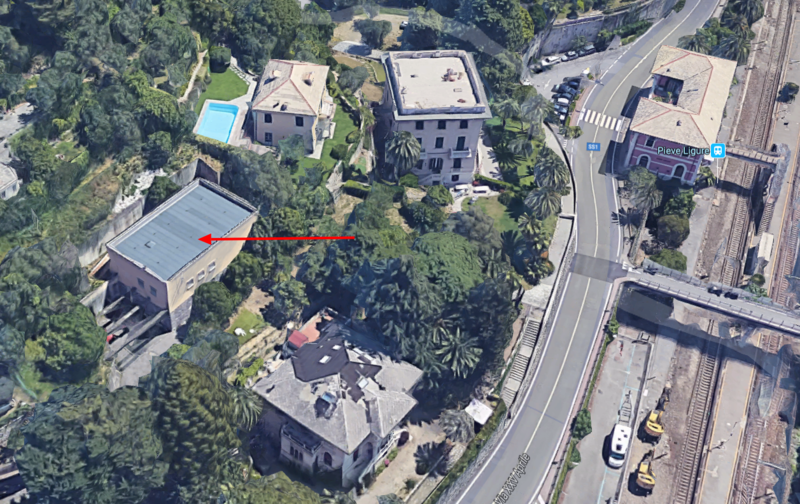 Your ADSL Exchange node is called GENOITAL and it is located in Pieve Ligure in Via 25 Aprile. However, your cabinet is here, in Via Alla Bossola, 8, inside the wall. That's fine, anyway. Usually they place the Fiber box next to it and not on top of it as usual. Please, if you can, go here in the next days and take some photos to let us see the situation right now. 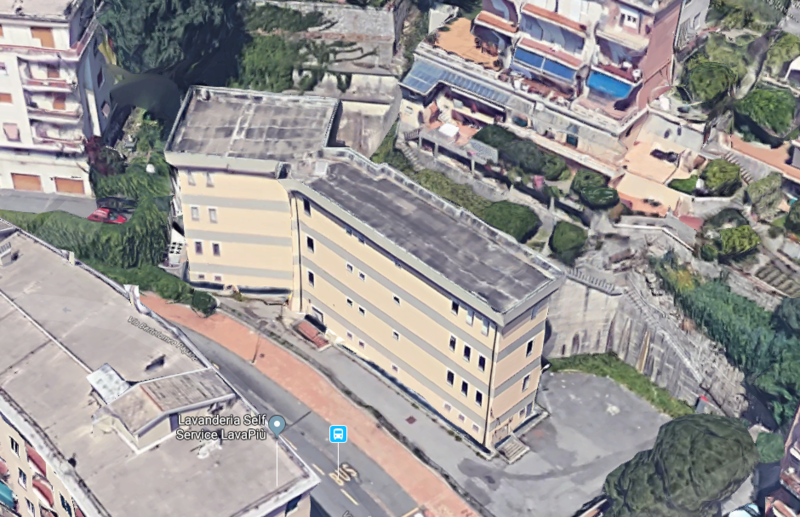 With the upgrade to FTTC, planned for December 2018 but delayed (of course) the cabinet will receive Fiber not from Pieve Ligure but from another Fiber Exchange Node: GENOITCG Nervi. In this node all the most famous Italian ISPs provide their service. TIM, Vodafone, WindTre, Fastweb, Tiscali, and even others. I'm a Tiscali seller (also the others, soon) and I can help you easily to bypass the language barrier. Here in Italy contracts/deals are in Italian and most of customer services only operate in italian (even if many answer from Albania or Romania). If you decide to trust me (I'm certified by the forum) I'll try to ensure you'll understand everything you'll be signing and I will solve your problems, hoping that you'll never have any. Our plans have no penalties and leaving will only cost you less than 25 euros, whenever you have to leave. Oh, one last tip: You will need an Italian (or European SEPA, I believe) bank account or credit card, otherwise it is very likely that your payment will be refused by the ISP. You can keep in touch with me by Telegram, but if you don't like it we can still chat with Whatsapp, or mail. Everything is in my profile, but for privacy reasons i will only give my number privately, via mail or telegram. AmericanInAStrangeLand What @andreagdipaolo just wrote is a great news! I'd personally take Andrea's advice and subscribe for Tiscali taking advantage of his assistance (both in the activation of the contract and in the event of any failure on the line). You know, in Italy (but everywhere in the world, I suppose even in America), ISPs tends to cheat unskilled customers! AmericanInAStrangeLand Hi and welcome to Italy and Fibraclick Forum! Looking at the Planetel screenshot you sent us it makes me thinking that your cabinet could be already active, but we need to wait for the database update to be sure of that. It would be useful for us to know your address for further checks on the coverage (maybe OpenFiber with the collaboration of Infratel is installing a 1Gbps connection). matteocontrini Well... who knows if the cabinet was programmed to be ready months ago and has maybe been delayed every time. As we know sometimes it happens, especially for particular cases. @AmericanInAStrangeLand Infratel is a company run by the State that spends public money to give services where Capitalism failed to build a reliable network. Open Fiber is a company partially run by the State that builds full-fiber infrastructures from Nodes to your main wall outlet. @AmericanInAStrangeLand While waiting for possible OpenFiber Coverage, when your cabinet status will be shown as "Active" on the database you will have plenty of ISPs to choose, they will use VDSL2 technology. If you want to know more about OpenFiber check their website, it's a wholesale only operator, meaning it just provides cables and infrastructures for the ISP's, but it doesn't sell the service to fnal costumers. In my opinion it's a very good project. The state (funded by the EU) planned to cover with FTTH (future proof full fiber to the home) all these places where private ISPs has decided not to invest their money bringing ultra broadband as they wouldn't have an economic return. Thanks for all the help and information everyone! @andreagdipaolo I’ll be sure to take a photo of the cabinet either tonight when I get home or tomorrow morning since it’s basically in front of my apartment. I’ll have to check to see what the advantages of all the different operators are first, but as a start what do y’all recommend? AmericanInAStrangeLand but as a start what do y’all recommend? If I'm not wrong, in USA every ISP has its own infrastructure. Here in Italy, mainly, and surely for your specific case, every ISP uses the Fiber and Copper network provided by TIM between the Node in Genova and your home. Therefore, there is no difference in the line rate between a Tiscali and a vodafone line. Mainly it is only a matter of price, customer care and extras. For example some ISPs give you some months of Amazon Prime, someone else gives you some months of Netflix. In the forum there is a thread regarding a comparison between every offer. It is in Italian, however. Maybe chatting will be easier than writing long messages here, I'm always available for further explanation on the platforms I told you before. AmericanInAStrangeLand The service provided is nearly the same for every operator as they all use the same physical infrastructure owned by Telecom Italia (not everywhere, but in your case it is). To be honest, the only real differences are the technical support and the latency to overseas servers (you may be interested if you play online games, for example). For example, if you want a good and fast technical support you shouldn't sign a contract, for example, with Fastweb as their call center operators are known to be not trained enough. As others have explained the "Attainable Rate" (the network speed between the cabinet and the modem) would be the same with every ISP because the DSLAM (the box mounted above the patch panel) is the same. Personally i consider latency and overseas routing a lot and i have to say that i have tested quite a lot WindTre and TIM, which are both on the same level. I have never tested Tiscali personally, but a friend of mine has it and told me it works very well. I would consider it beacause of Andrea's help in case of any issues. Consider that if OpenFiber installs a FTTH connection in your area you will be able to upgrade your service (if not with Tiscali, with another ISP). I'd say the main difference between the operators has now come to how honest they are with the pricing model. Some of them are very clear (like Tiscali and Fastweb, which have simple pricing with no penalties or duration of the contract), some of the other are not at all (TIM for sure, but also Wind Tre is sometimes confusing). Usually it's above, in his case the cabinet is inside a 5 meter tall wall. For Opem Fiber, let's see in the next year probably. Nel suo caso è Infratel. Here are the pictures of the cabinet that were asked for a while ago. @andreagdipaolo they laid down the tubes and fiber optic cables a few months ago and made a rather big hole under the cabinet. So maybe they put the DSLAM in front of it, underground. Can you please take a bungh of pics of the area? Here are some pictures of the area around the cabinet.